← New County Law Will Bring More Bike & Pedestrian Connections! County Executive Steuart Pittman and Annapolis Mayor Gavin Buckley address the Anne Arundel County Bicycle Advisory Commission and set the new goal of Silver-level. Click for a short video. Local Survey Results (BFC_Fall_2018_Public_Survey_Annapolis and Anne Arundel County_MD) from the League of American Bicyclists. Both BikeAAA and the Anne Arundel County Bicycle Advisory Commission are reviewing these to chart a course for the future. Together they reflect input from more than 100 local cyclists and measures against best practices across the country. We know that more safe, connected bikeways (trails and on-road lanes) are vital but we also need better education and enforcement for drivers and cyclists as well. 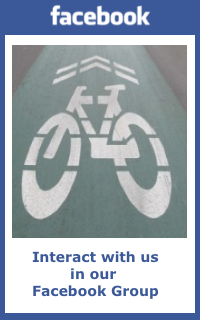 Stay in touch with BikeAAA for progress and for ways you can help.